Achieving certification from EQA demonstrates a commitment to maintaining and improving management and/or product standards. Security Certification is defined as a “Product” standard by the Irish National Accreditation Board (INAB). Use of the EQA logo displays this commitment to clients and potential clients. In accordance with our certification rules and the rules of our accreditation body (INAB) and /or the Private Security Authority (PSA), EQA certificate holders are entitled to use the relevant EQA logo on their Stationary, Letterheads, Website, Business Cards and Advertising. Management system logos may not be used on products. Product (Security) certification logos may be used on products (e.g. on the panel of an intruder alarm) or in direct connection with the service being provided. Electronic versions of EQA logos are available in JPG, PDF and EPS formats. 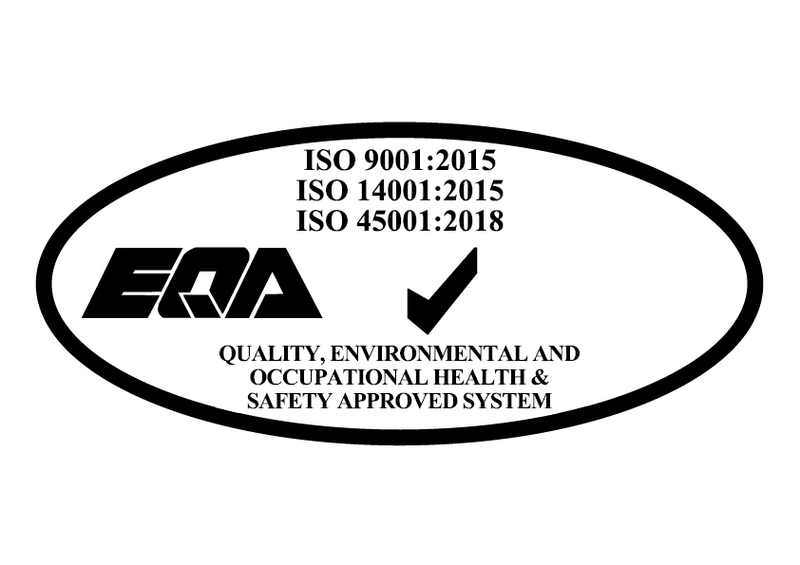 For some schemes EQA have a choice of logo (e.g., ISO 9001Quality Assured Company and ISO 9001Quality Assured Service). Please consult EQA to choose the Logo which best suits your organisation. 1. Management system logo’s (eg. ISO 9001, ISO 14001, OHSAS 18001) must never refer to or imply Product Certification. Management logos must not be used directly on products (Laboratory and Calibration test certificates are deemed to be products in this context). 2. Electronic Security certification logo’s (eg. EN 50131 and PSA 2006_12) may be used together with the installers name on an alarm panel or CCTV system. 4. If a Management System logo is displayed on boxes etc. used for the transportation of product, it must be made clear that the logo does not refer to the product itself by including a statement such as “produced in a location with ISO 9001 quality management system” or “produced at a location with ISO 14001 Environmental management system” etc. 5. The logo must appear together with the logo or title of the certified organisation with no more prominence than that of the certified organisation. 6. The EQA Logo with or without Certificate Number can be displayed on Flags, Vehicles and pamphlets etc. 7. Where a company letterhead, website or advertising material includes more than one address, the logo may only be used if all the addresses are within the scope of certification (i.e. subject to regular surveillance audit by EQA). 9. Electronic Security Certification Logos can only be used in relation to the certified service (e.g. an EN 50131 logo cannot be used on an Access Control or CCTV system). 10. Where an organisation wishes to use the logo for purposes other than those mentioned above, written approval from EQA is required in advance of release. 11. If the Certificate Number is to be incorporated with the logo, it should be placed directly underneath the logo (see examples below). 1. The organisation must not use the EQA certification mark in any manner as to bring EQA into disrepute, and must not make any statement regarding its certification which EQA may consider misleading or unauthorised. 2. Failure to terminate any misleading or unauthorised use would lead to withdrawal of certification by EQA. 3. An organisation must ensure that reproduction of the logo is accurate and legible with no degradation or distortion. Permitted colours are Red, Brown, Black, Dark Blue, Gold or the predominant colour of the letterhead. In the event that certification is withdrawn, cancelled or expires, the organisation shall immediately cease use and distribution of any stationery, literature and advertisements bearing the EQA Logo or any other reference to certification. If an organisation is suspended, the logo or reference to certification may not be used during the period of the suspension.